This project is now complete! Click here to check out the final photo. 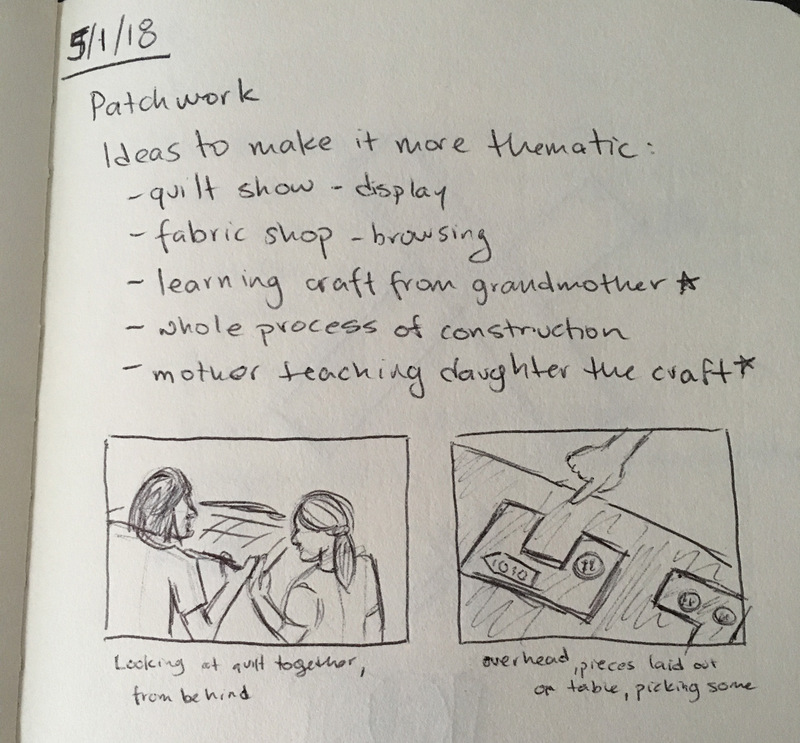 I’ve been jamming on the actual quilting part of making the quilt for the past few weeks. 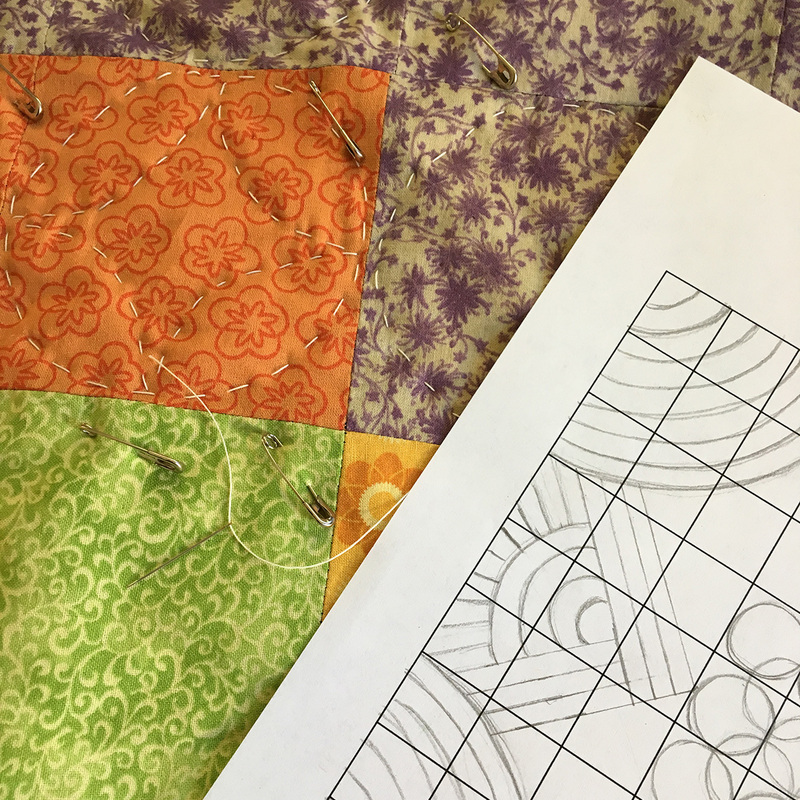 I started in the center of the quilt (having received sage advice from my mother and YouTube tutorials) and the center 9 squares have the orange peel stitch. The first circle took about 1.5 hours to get right. 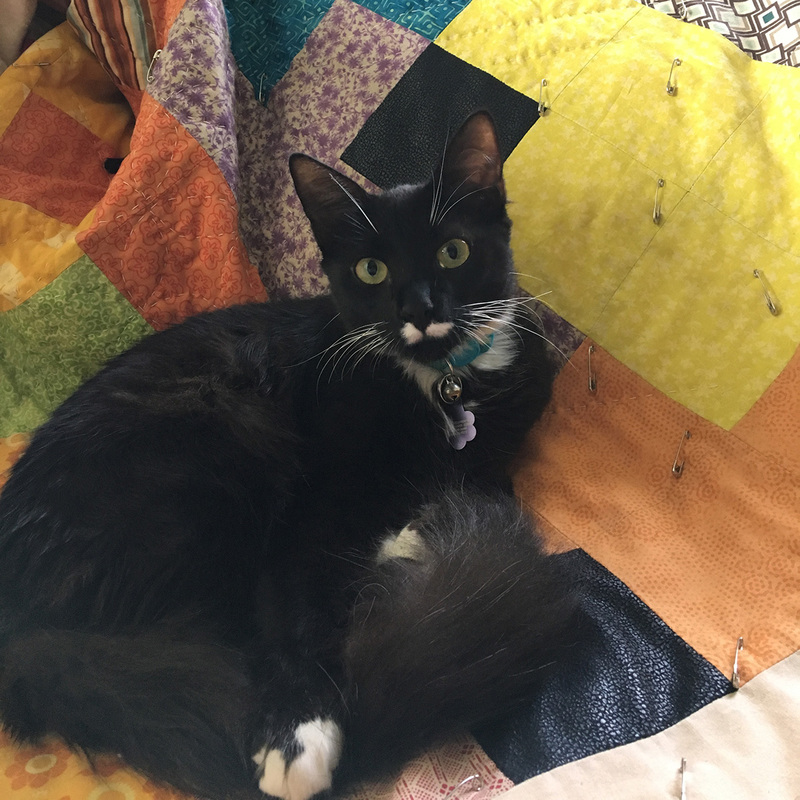 I was worried for the rest of the quilt that it was going to take a looooooong time to finish. I also decided with this lovely quilt that plastic buttons wouldn't look all that great, so I found wood buttons on Etsy that I'll be dyeing or painting blue. I put the quilt on the backburner for a few months due to indicisiveness about whether or not to add more blue fabric to the quilt. That, and not knowing how to use a sewing machine brought the project to a hault. I pined over the extra blue fabric choice for a while till I moved onto other projects and left the fabric squares in my closet till the end of December. I knew it was time to kick things back into gear and get this project done; no one likes stagnation but people appreciate progress. Much to my surprise, once I picked the project back up, the choice to go ahead with the colors I already had dyed and cut was simple. This generally happens when you take a break — the obvious becomes obcious. Pinning the rows together was not taxing but the task of sewing the pieces together lied ahead. Keep pushing forward. 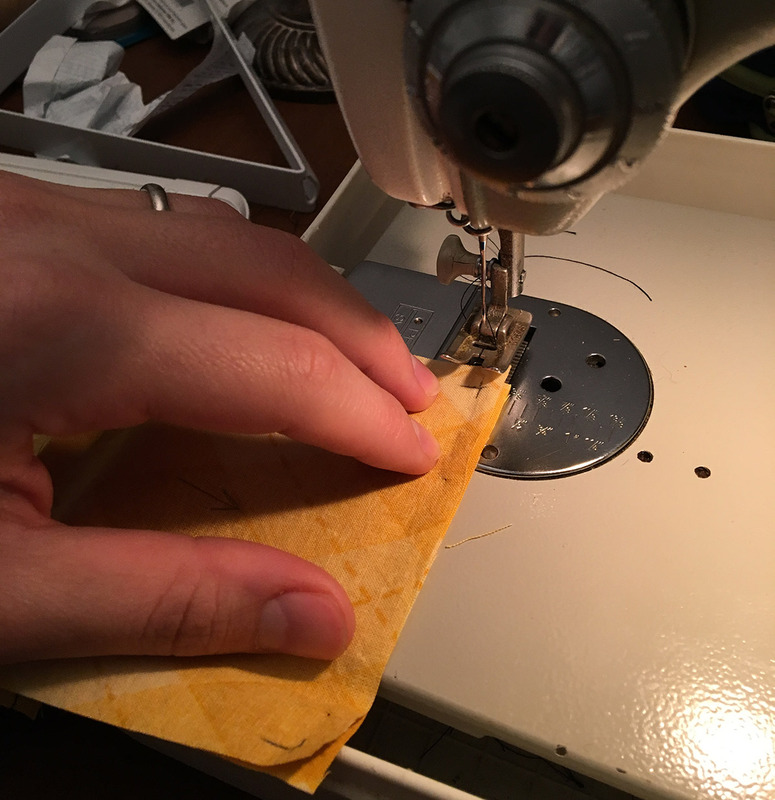 My wife showed me the ropes to her Pfaff sewing machine and in two short days I had nearly the entire front of the quilt stitched together. So much easier than I had anticipated. Almost … too easy. Next steps: adding a border, batting, and backing. 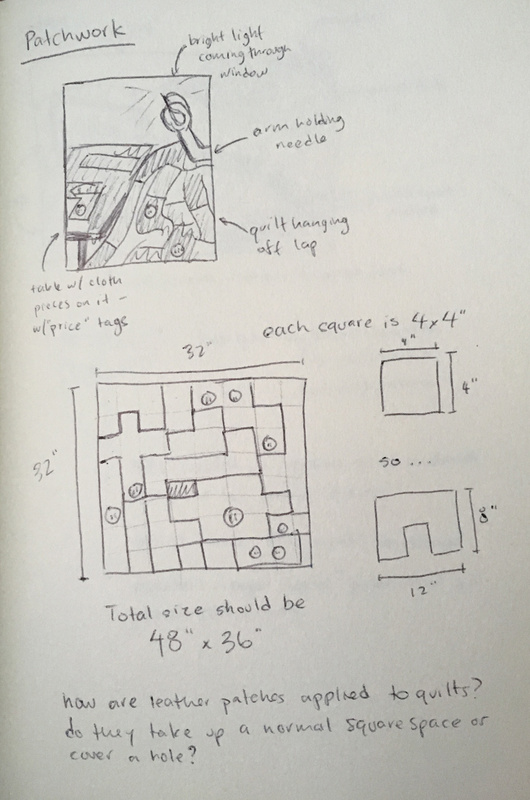 Here’s the layout of the squares as it exists right now. I’m looking to add some more blue to the center of the quilt, so I’ll be reworking the layout a bit soon. 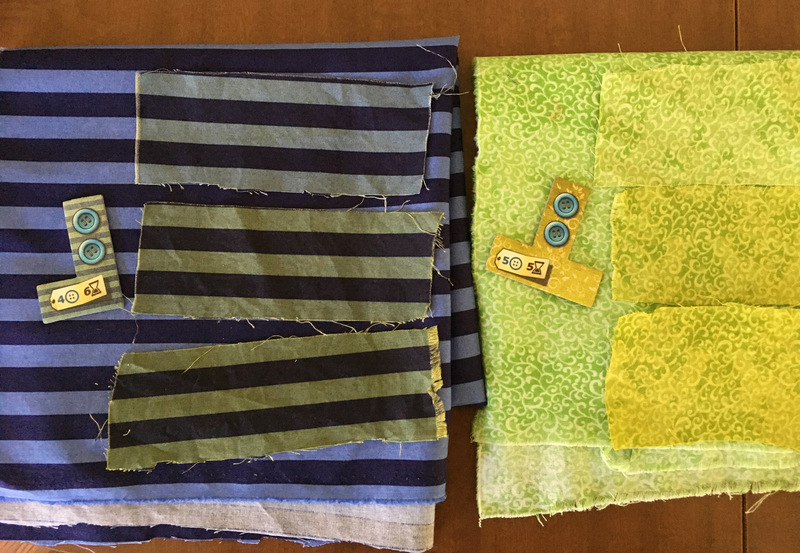 Each patchwork piece will be 4”; with 9 rows and 9 columns, the final quilt will be 36” square. Next steps are to begin pinning the pieces together once I rework the layout to include more blue. 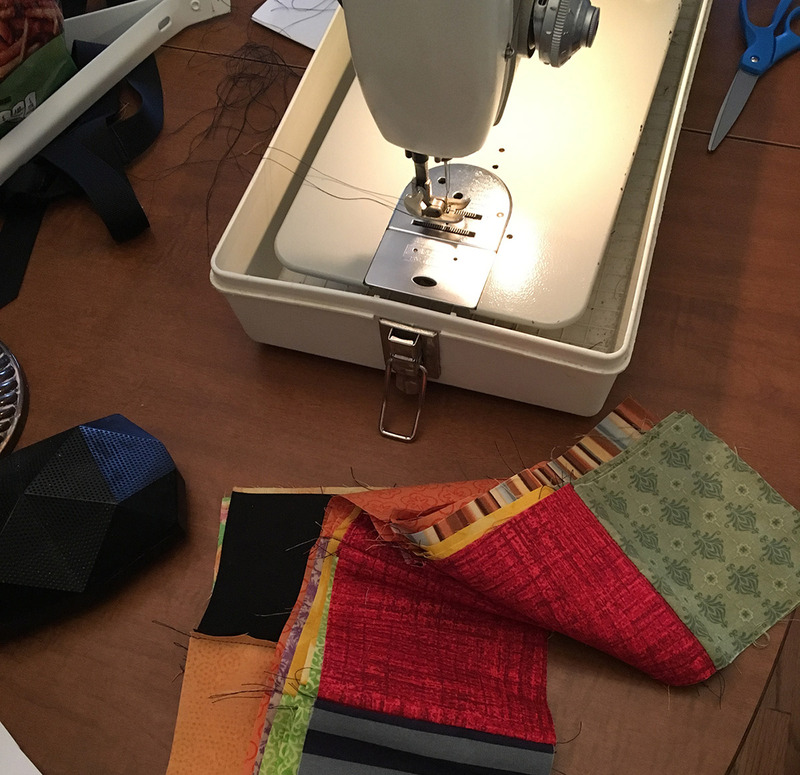 I also have different fabric to use for the leather patches — the fabric I was using was imitiation leather, which looked and felt great, but would not be easy to stitch together to the other squares. Especially because the fabric needs to lay flat for ironing and that imitation leather is thicker than cotton. Today, I continued trial and error with the fabric aging. Dunking the fabric into the delicious concoction of instant espresso, vinegar, salt, turmeric, and soy sauce multiple times got me results I am satisfied with. I would soak the cloth, take it outside to dry, and then realize I needed to add a bit more turmeric or espresso to darken up the light colors of the fabric more. 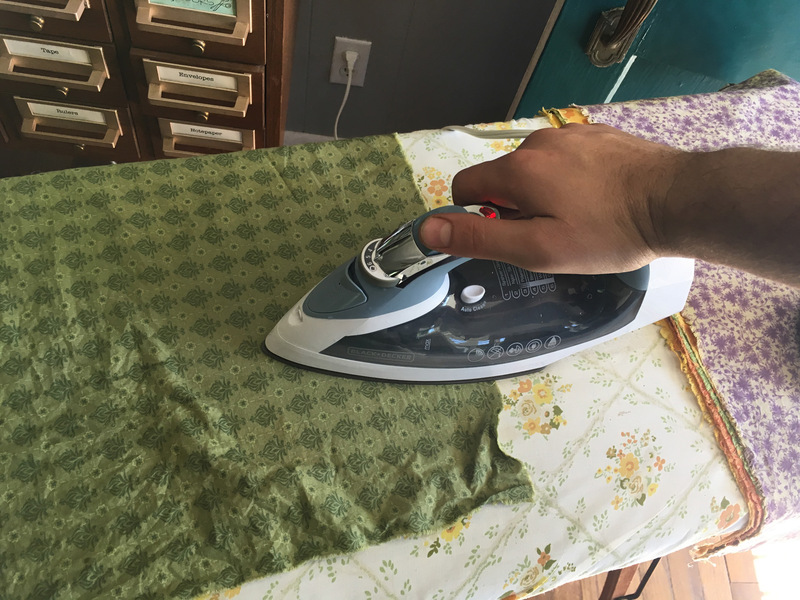 Then, more ironing. Now, waiting for a couple fat quarters to arrive this week. Still on the hunt for two patterns I’ll be using; looks like I’ll need to settle on something. Next step of this project, after dyeing the incoming fabric, will be to start cutting out squares. Be regularly and orderly in your life, so that you may be violent and original in your work. Thanks to Austin Kleon for the plethora of incredible quotes used in his book Steal Like an Artist, including the one above. So many truths page to page; a perfect read for anyone who’s artistically inclined in any way, shape, or form.. I finished reading this book just the other day; really great stuff. 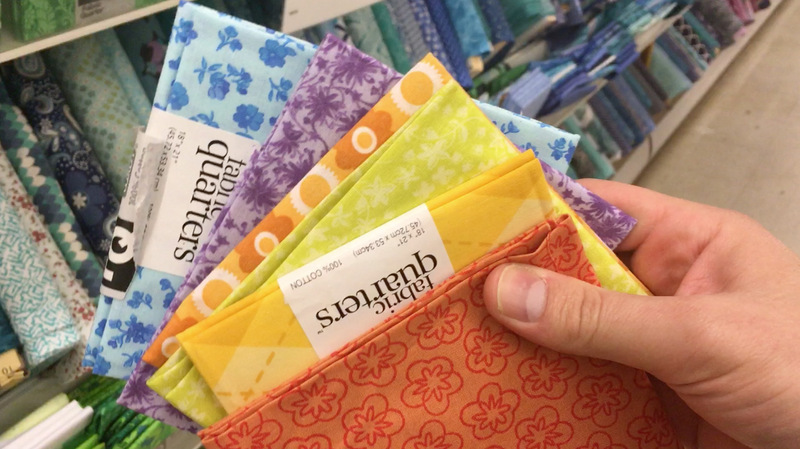 One more time to JOANN on the hunt for the remaining fabric patterns to make up the quilt. 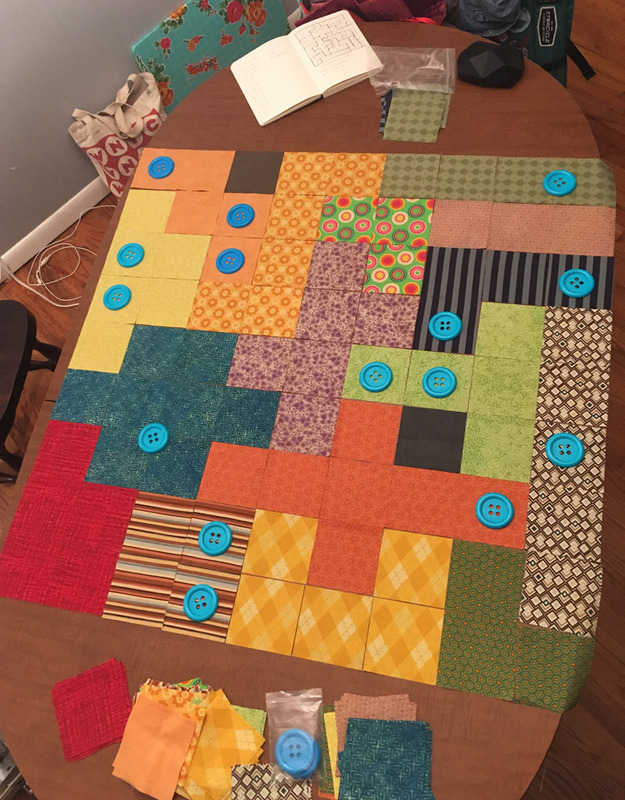 I also played with the layout of the quilt via the Patchwork board and have a layout I am happy with. Also, the door is ajar. 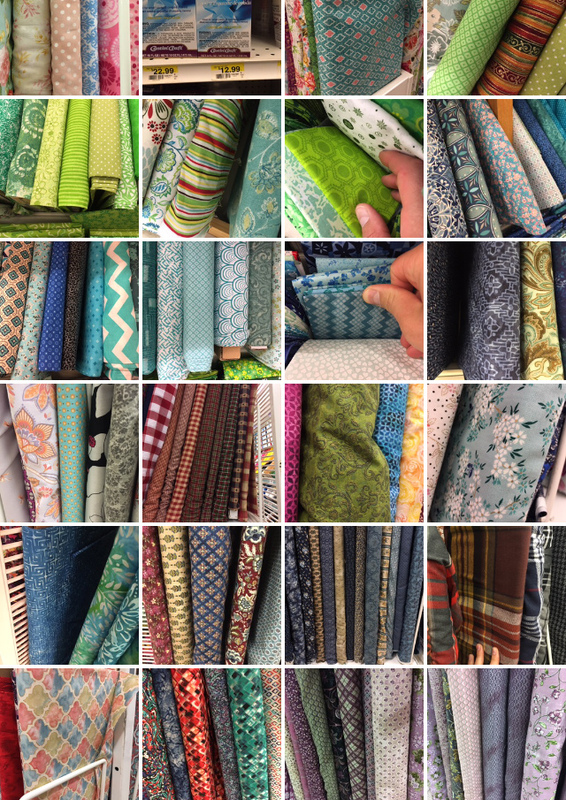 Today began the hunt for quilt fabric! 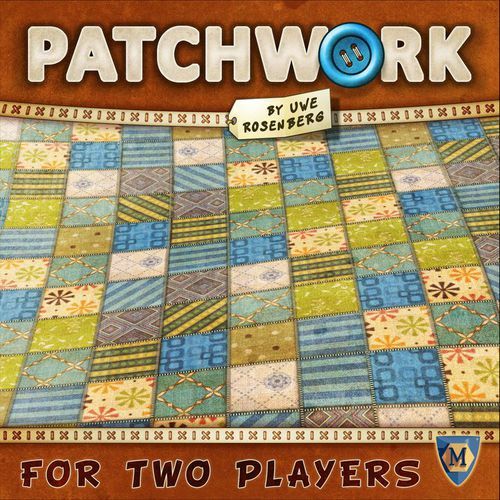 This photo idea has been evolving since conception: the photo started out as a large cloth button (similar to those seen in the game) stitched onto a piece of fabric; then it morphed into stitching that button onto a quilt; then into making an actual quilt, which, of course, will need to look like the Patchwork board. 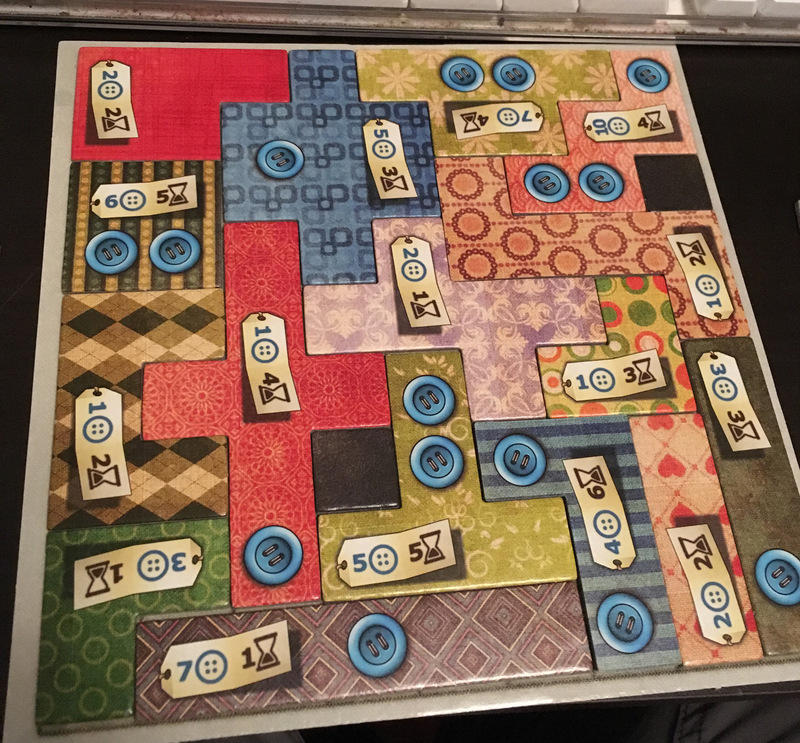 I found some oversized blue buttons that look like those in the game and began figuring out the design of the quilt. Follow along this project as it comes to fruition! It is in progress and this page will be updated as the project continues.